Radius is a marine-grade polymer outdoor furniture collection. Marine grade polymer products are impervious to the elements and virtually maintenance free. The Radius Collection includes a molded dining chair, lounge chair, bar stool and tea table. 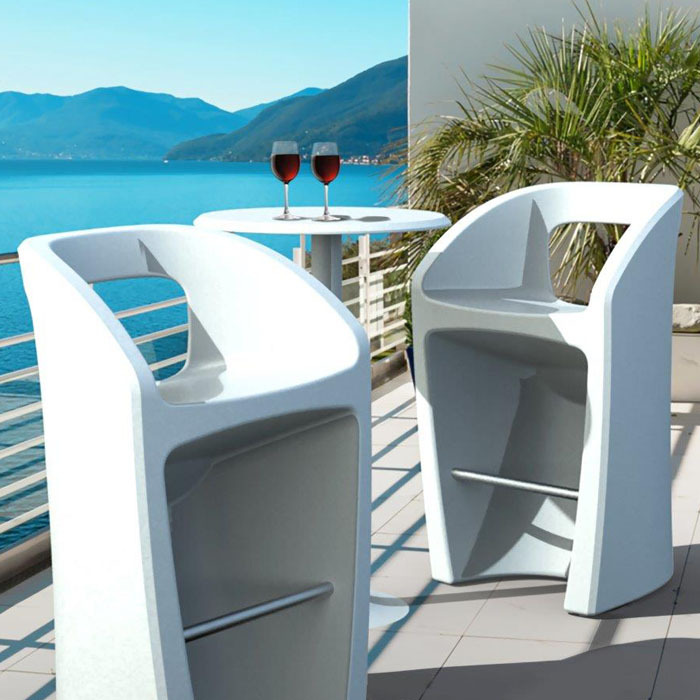 Radius Outdoor Furniture features rounded corners and smooth lines, perfect for a contemporary outdoor space. The vibrant rainbow-spectrum of finishes is perfect for today's trendy resorts and contemporary luxury hotels.